Tortola and most of the British Virgin Islands are mountainous, and while they boast verdant-green hills, the climate and vegetation are much drier than many Caribbean isles. In Tortola, cactus and succulents are more common than ferns, and rushing streams and waterfalls are virtually nonexistent. The dry climate of the islands has a beneficial side effect: because of the lack of runoff, the water clarity is dependably higher than many other places in the Caribbean. For that reason, Tortola and the BVI are a popular destination for divers and snorkelers. The protective effect of the islands surrounding Tortola causes the seas to be calm most of the time, making the region an attractive destination for those prone to motion sickness during small-boat excursions. The steady winds and calm seas also make Tortola and the BVI one of the world's premier yachting regions. Sailing excursions should be at the top of every interested visitor's list. A visit to Tortola also offers a chance to experience other islands in the BVI chain. 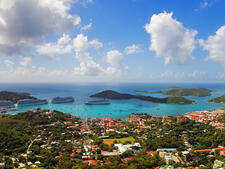 These include Norman Island, Jost Van Dyke, Peter Island, Marina Cay and Virgin Gorda. All are within reach for a day trip from Tortola, assuming you have a full day in port. This is not the case on all itineraries, so be sure to check ferry and ship schedules carefully before departing. One of Tortola's greatest attributes is the genuinely friendly attitude of its residents. The island is safe and crime-free. It's not unusual to find yachts worth hundreds of thousands of dollars docked in marinas with keys visible in the ignitions. Ships dock in Road Harbour, Tortola's only "town." A major expansion of Tortola's cruise dock was under way in 2015, with plans for the development of the land alongside the pier, which will completely transform this tiny port. The five-acre development plan has two phases. The first (completed in summer 2015) involved lengthening and widening the existing pier, while the second phase includes landside development, including the addition of several restaurants, a marketplace, retail stores, a pool, bar and trolley line, among other features. You can cover most of Road Town on foot; most eateries and shopping venues are within easy walking distance. The major asset in Road Town, however, is the ferry docks. For those who want to see what the British Virgin Islands are really about, the ferries are your best friends. As you disembark in Road Town, be prepared for construction. You will find an information kiosk staffed with people handing out maps, ferry schedules and brochures, and taxis are readily available. For other facilities like ATMs, shops and cafes, it's just a quick walk into town, where you'll find pubs with Wi-Fi, restaurants and even a small market. Main Street features cute souvenir shops, where you can find local crafts and jewelry. While Road Town is worth a visit, if that's the extent of your Tortola experience, you will miss out on the best of the BVI. You won't encounter dangerous animals or snakes, but a few plants (oleander and elephant ears, for example) are poisonous if consumed. The manchioneel, or poison apple tree, is a shrub or tree that grows near the beach. It's fruit, sap and leaves are caustic -- a severe irritant to skin and eyes -- and toxic if ingested. Also, smoking is prohibited in all public indoor and outdoor spaces and within 50 feet of these spaces. This applies to all beaches. By Taxi: Safari cabs and mini vans are typical modes of taxi transport. Find taxi stands at the cruise pier in Road Town, Soper's Hole or near Wickham's Cay. Taxis can be chartered based on the Taxi Tariff available at the ports of entry and provided by each driver. Roads on Tortola are very steep and winding. If this makes you uneasy, avoid the safari cabs. By Rental Car: You'll need a BVI license, which costs about $10 and is obtainable with a valid driver's license. Don't forget to drive on the left side of the road. Rental agencies include D&D Car Rental (West End, Road Town; 284-495-7676), Hertz (Road Town; 284-494-6228) and Itgo Car Rental (Road Town; 284-494-5150). By Ferry: Ferries are the primary form of moving people between Tortola and the other islands. Think of them as oceangoing buses. Ferry service from the several companies serving the islands is frequent, dependable and affordable. 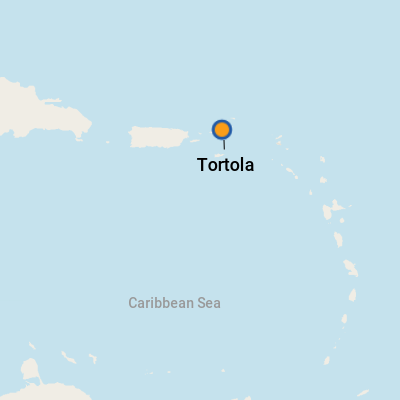 There are three regions in Tortola where you can catch a ferry: Road Town (central), Soper's Hole (West End) and Beef Island (East End). Soper's Hole and Beef Island can be reached by taxi for about $20 per person roundtrip. The BVI use the U.S. dollar for its currency. ATMs are commonplace. English, though Caribbean patois is common. Meals often include a variety of seafood, chicken, and goat. Saltfish is also popular. Common side dishes include rice and peas, sweet potatoes, fried plantains, beans and lentils. Fresh fruits abound, like passion fruit, mango and soursop. A favorite dish is fungi, which is similar to polenta and is made from cornmeal and okra. Also popular is roti, a flatbread that is deep fried or stuffed with other ingredients, like lentils, curry and vegetables. And don't forget the rum. Tortola isn't known as a shopping mecca. But if you like Caribbean island music, track down a CD by Tortola's main recording star, Quito Rymer. These CDs can be found at the gift shop at Rymer's restaurant/club, Quito's Gazebo, in Cane Garden Bay or from numerous other gift shops on the island. Other great souvenirs include a bottle of Pusser's Rum (or a piece of Pusser's signature logo merchandise -- their duffels and outdoor-wear are high quality) or a sampling of spices from Sunny Caribbee. The Painkiller -- a concoction of dark rum, cream of coconut, pineapple and orange juices, topped with nutmeg -- is the signature drink of BVI. It originated at the Soggy Dollar Bar at White Bay in Jost Van Dyke. Arguably, St. Maarten is one of the Caribbean's most popular ports of call. There's a pretty good chance your first Caribbean cruise called here. After a couple of return visits, you probably started looking hard for the offbeat, the unusual. Two more visits and you figured you could conduct a ship's port lecture singled-handedly. So, here's an idea you might not have thought of: A great thing to do for repeat visitors in St. Maarten, might actually be to leave the island. Why? Besides being a frequented destination for cruisers, St. Maarten is a popular base for yachters and other island-hopping vagabonds. That's because being positioned amid a clump of nearby islands -- many very different in ambiance, resources and personality -- makes a great jumping-off point for a day trip. 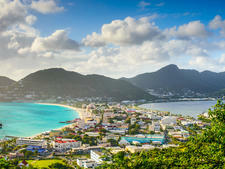 Since many voyages arrive in St. Maarten early and depart late, ranging far afield would seem both easy and economical. But while you can use St. Maarten as a departure point from which to venture to neighboring islands, you'll want to do a bit of homework before heading off. Ferry or flight delays (should you choose to fly) could mean missing your cruise ship's departure, so you'll want to have an alternate plan in your back pocket, in case your day trip does not go according to schedule. Itching to try something new during your next call at St. Maarten? Why not opt for visiting one of the following? 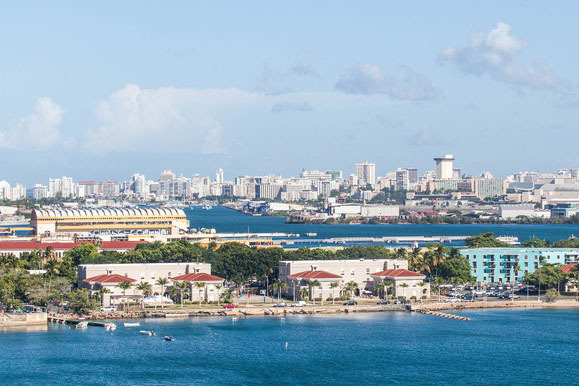 Everything you need to know before cruising out of San Juan.